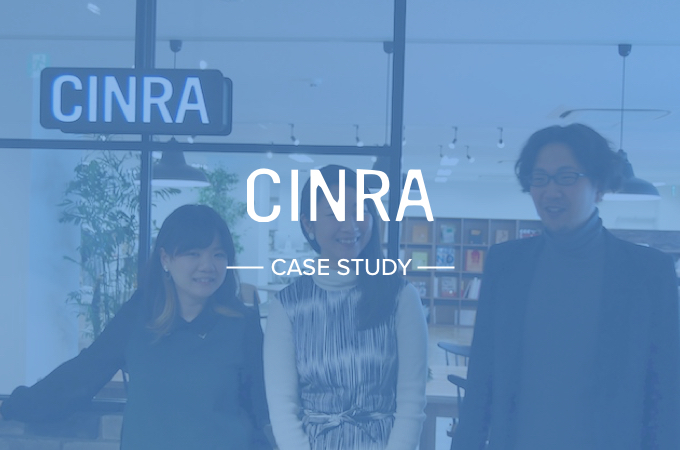 We visited CINRA, Inc. in Tokyo to talk to them about why they use Cacoo. Description: CINRA provides services such as CINRA.NET ( online cultural magazine about music, art, design, cinema, theater), CINRA.JOB (job website for creative professionals), CINRA.STORE (online shopping), exPoP!!!!! (music events) and HereNow (online guide for Asian cities). 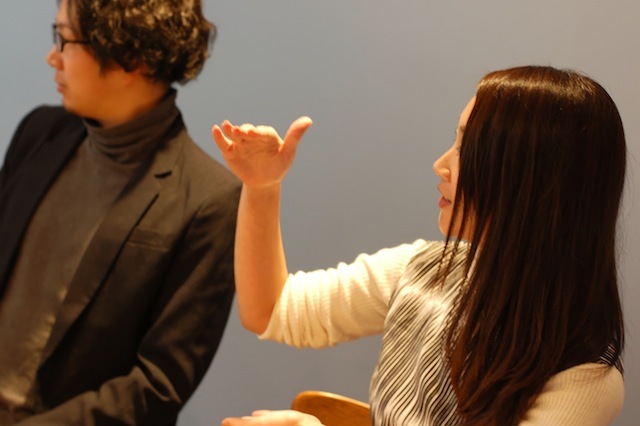 Shiba (left), Yanagihara (center) and Ito (right) from CINRA. Can you please introduce yourselves? Shiba: We are all directors of CINRA’s creative team. My job is primarily to plan and operate client projects, including copywriting for websites and events, as well as creating PR videos. 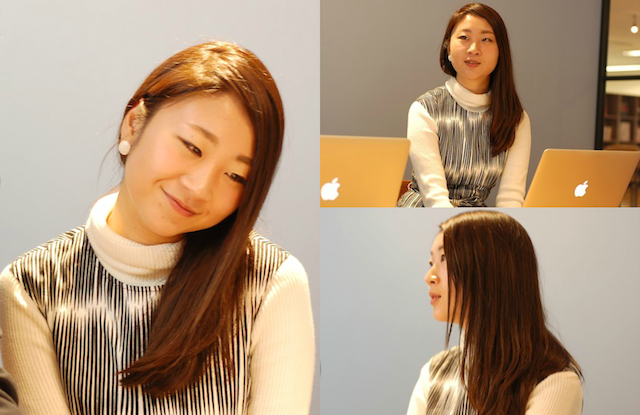 Yanagihara: I take care of system-related website projects, from planning to the actual launch. Most of the time, I work in a team from other companies together. Ito: I just started working at CINRA a few months ago and take care of various projects ranging from systems to event planning. 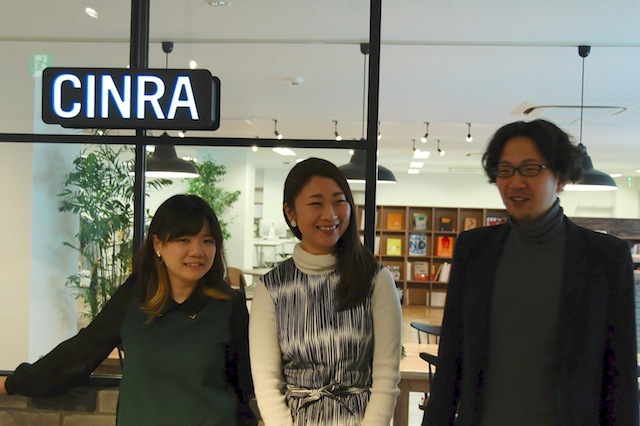 Shiba: Our company, CINRA, is what we call a creative company that delivers to people the “opportunity to be happy.” Based on this corporate philosophy, we will do anything that could make people happy. You might be familiar with our web magazine CINRA.NET, but that’s not all we do. We also create websites and organize events if our clients need it. How did your company start using Cacoo? Shiba: When I started working at this company a year ago, my coworkers used PowerPoint to draw wireframes. Then I introduced Cacoo, telling them, “Why don’t you try a tool that’s easier to use?” Directors and designers started using it first, then it expanded to the rest of our staff. How do you use Cacoo for your work? Shiba: I use Cacoo to share diagrams with coworkers and external partners. We used to use email to share and explain diagrams. Although it was okay to do it by email or meet in person with my coworkers, it wasn’t easy for externals partners because they are not in our office. 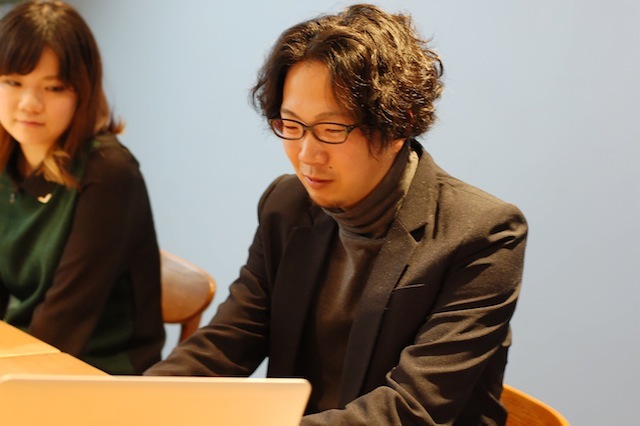 Ito: I mainly use Cacoo when I create sitemaps that need frequent updates. I also print the screen design out from Cacoo and then present it to my clients. This is convenient because I can share it in person and ask them if the design is ok without using a computer. Were there any changes to your business after you started using Cacoo? After using Cacoo, it became easier to manage the most recent files. To share recent files with clients, you can just send a link. Your clients or team members can also give you feedback right in the app. Who would you recommend Cacoo to? Yanagihara: I would recommend it to someone who uses PowerPoint and is looking for a more useful alternative. It would also be good for someone who is not good at organizing and managing a lot of files. Ito: If you are in a large company or project team, and they still use PowerPoint, then it won’t be easy to convince them to switch to another tool without a specific reason. But if your company or project team is not that big, and you’d like to start your project immediately, Cacoo would be perfect! 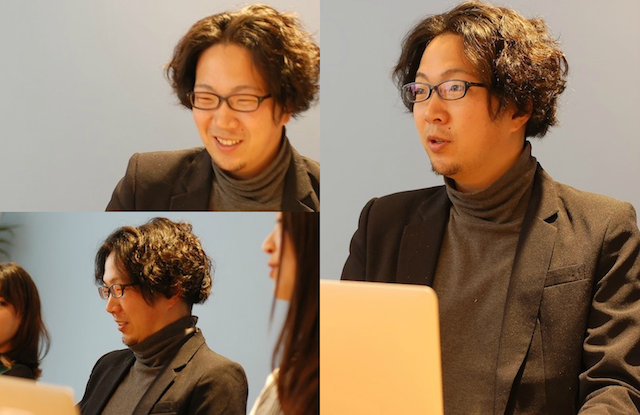 Ito talks about company sizes. What’s your favorite Cacoo feature? Yanagihara: I really appreciate the folder sharing feature. Shiba: I appreciate the sharing, exporting and revision history features. But more importantly, what I appreciate most is Cacoo itself! Cacoo has very useful default features even without having to get a paid plan. Cacoo also let us set up templates by ourselves; it makes our work easier. Yanagihara: I like the revision history feature too because I can review each client and team member’s requests from old to new. My other favorite feature is the Cacoo’s stencils. I create a stencil and use it again and again. 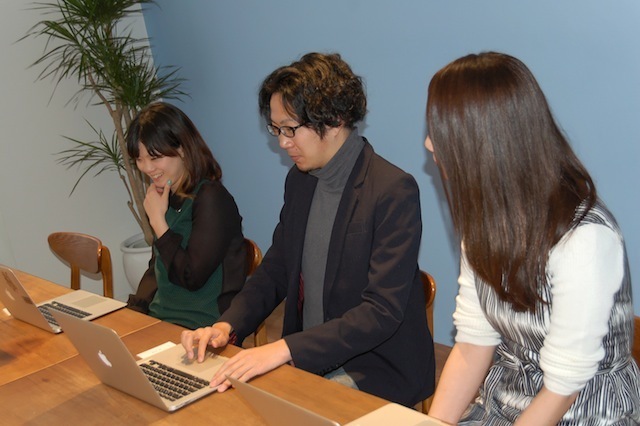 Ito: I often draw many wireframes and I’m so glad that Cacoo is intuitive for users like me. Do you have any feedback or requests for Cacoo? Yanagihara: I sometimes want to have a character number limit in the text box, especially when my clients write text directly in the diagram. I also have a request for the comment function. While sharing a wireframe, we use speech bubbles for comments but no one knows who wrote it unless they also wrote their names. Actually, we’re already working on this comment feature! I think we will release it in the near future. Yanagihara: Oh, really? Will it also be possible to delete comments in order to ensure that the name and contents are invisible when you show the diagram to your clients? Yes, it will be possible! You are always welcome! We will steadily improve Cacoo. Thank you for your time today. Personally, I’ve had the experience of being a website director before, and I totally understand how they feel about Cacoo. Also, I would like to say a special thank you to Ms. Shiba. 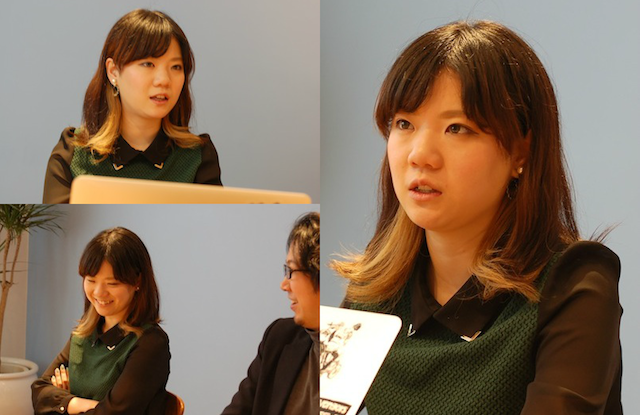 She gave a speech at our “CacooUP Tokyo” this past April and told people how she enjoys using Cacoo. Makoto Hirayama Makoto Hirayama is a member of Nulab, the creators of Cacoo.